Help your child reach his milestones! Get him moving and exploring with these toys. Babies grow and learn at an amazing rate so encourage his sensory development and mastery of movement with age-appropriate toys. Babies and toddlers will benefit from those that rouse curiosity and stimulate his gross motor skills (like rolling over and sitting). As they get older, introduce toys that challenge his imagination and hone his fine motor skills (those that make use of fingers and hands). The following toys aren’t just suitable for one stage of your child’s life—as your child grows, he or she will discover more things about each toy that match his or her growing skill set. This sturdy walker is a great companion for babies who are just learning to get up and go. A step up from the traditional walker, it also features a detachable learning center—introducing numbers, shapes, colors, and more—which babies can use even before they start cruising. 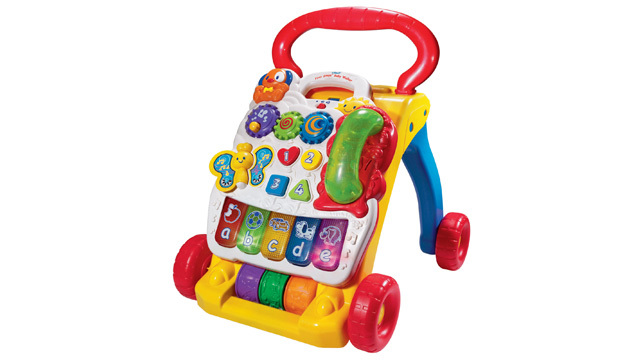 Encourage both sensory and motor skill development with the roller-ball paw and movable mouse built into this laptop. The peek-a-boo effect ensures endless fun for your little one! 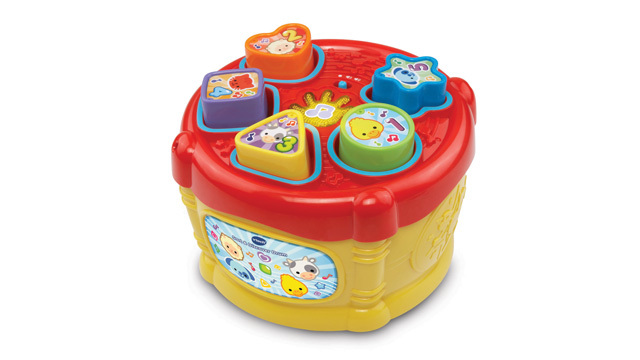 Aside from developing fine motor skills with the shape sorter, your child can also tap the drum to make fun sounds and sing along to the songs and melodies. Encourage learning through this fun toy, which plays music and sound effects whenever shapes are inserted through the windows. 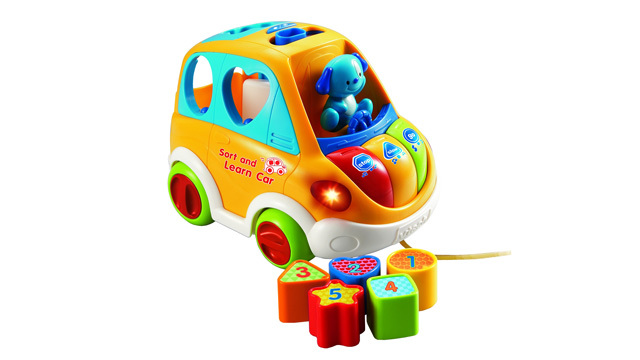 The car also plays a catchy learning song when pulled, while the built-in piano keys teach colors and musical notes. Beep beep! Your kid will get a kick out of imitating your driving skills! 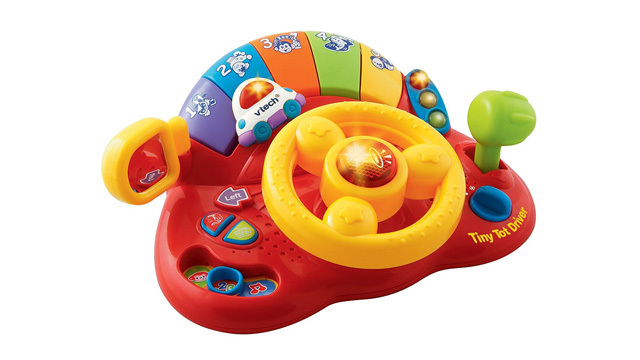 This features interactive buttons like a horn, traffic lights, ignition key, and steering wheel, and teaches kids about animals, colors, and numbers. This pull-and-learn alligator will get your child interested in his ABCs. 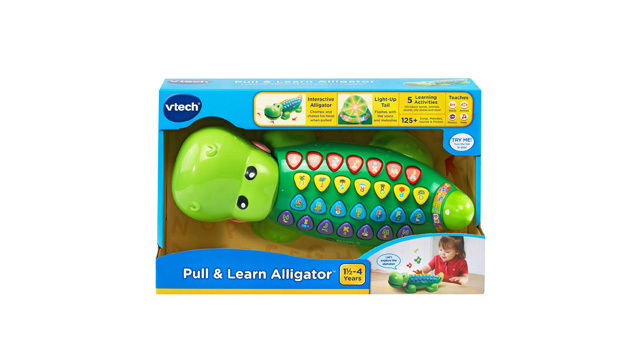 Featuring 26 letter buttons and five play modes, the alligator also has moving parts (a mouth that opens and a tail that lights up) that will keep your little one curious and entertained. 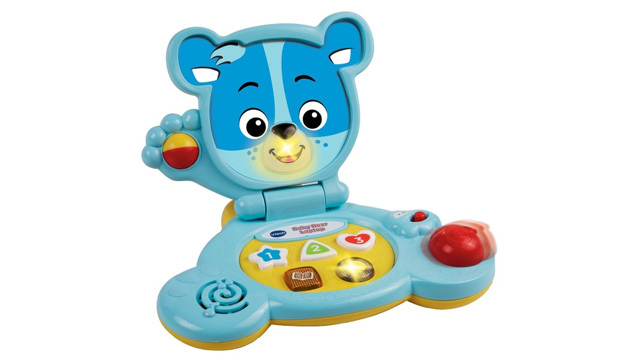 Introduce your child to his or her first 100 words, guided by VTech Smart Cubs Cody and Cora! 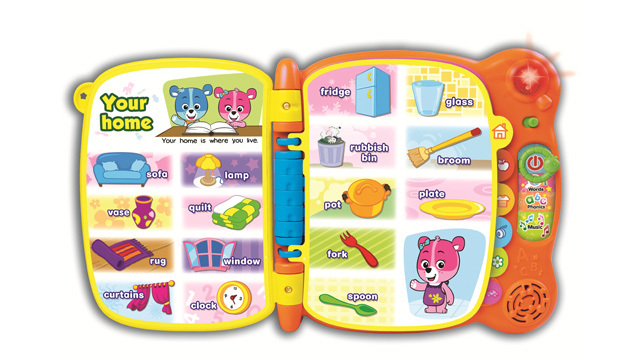 This toddler-friendly toy book has touch-sensitive pages that engage your child with sounds, music, and words. This toddler-friendly tablet has a cute bear character mode selector, amusing word and number activities, and even a virtual camera. More than being a source of entertainment (launch the car over the springboard ramp! Crash it into the crash platform! Activate phrases and melodies! ), this toy introduces the concept of cause and effect. 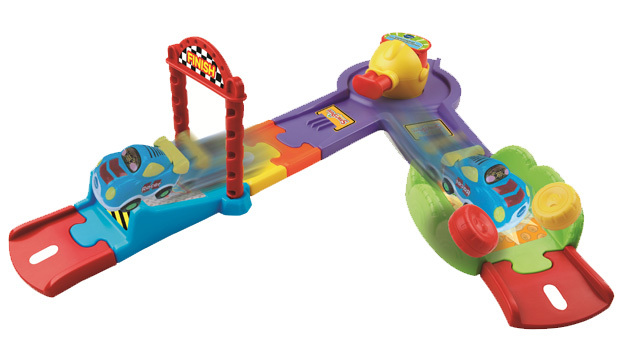 Bonus: The launcher is detachable and can be used with other Toot Toot play sets. Big kids will feel all grown up with their very own laptop, which can be personalized with their name, age, and more. 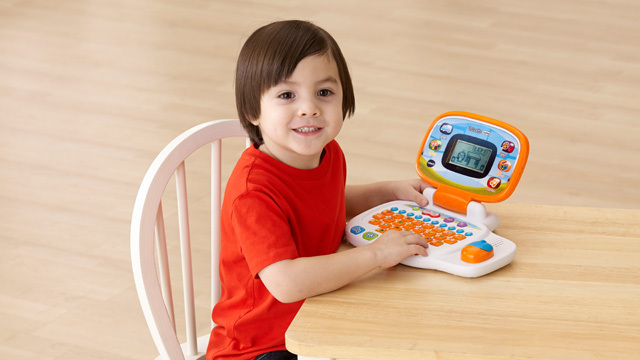 With plenty of interactive activities focusing on words, basic math, and problem solving; built-in songs and games; and a four-directional mouse, this laptop is a big help when it comes to hand-eye coordination and logical thinking. The right toys don’t just keep kids entertained, but also provide a fun environment that helps kids improve their skills and give them a healthy appreciation for learning. 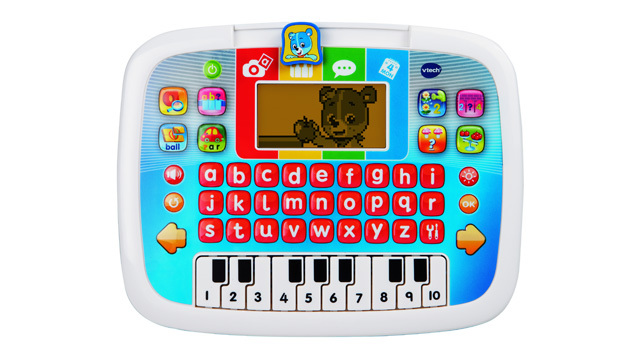 Check out the edutainment products by visiting VTech in Kids Company's website.